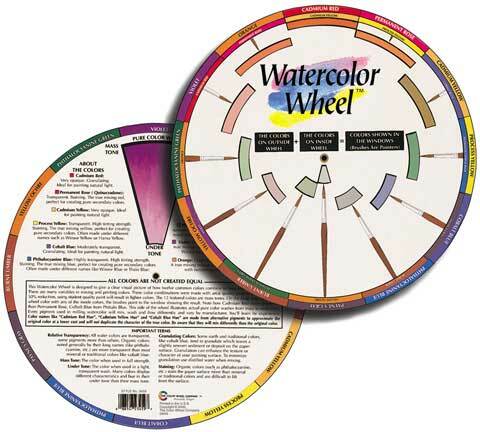 Watercolor Wheel Color Wheel Co. This indispensable watercolorist' s tool shows 144 combinations of the most common colors to aid in selecting and mixing. It also provides visual examples of graduated washes from mass to undertones created from the actual watercolors. The reverse side of this 10" diameter circle gives helpful definitions and information about color characteristics and transparent techniques.